Do you know someone who would love to stop renting and buy their own home? A new study says 79% of Millenials want to buy a house. This study, by Bloomberg, goes on to tell them they can’t save fast enough for a down payment. I am here to tell you that I disagree! Why? Bloomberg’s chart shows how many years it takes to save 20 percent down. But who says you have to make a large down payment? It is not required. Here are tips for buying a house when you can’t save fast enough for Bloomberg. If your credit score is 720+, take a 3% down conventional loan. If your credit score is 580 – 719, take a 3.5% down FHA loan. If your family is able to give you gift money for a down payment, you’re ready to go. If you are a U.S. Veteran, you may qualify for zero down. Use one of the many down payment assistant programs offered by your state. For example, I have a program in WA that will cover your down payment plus kick in a little for closing costs. You can earn up to $97,000/year to qualify. When you sell the house (or refinance), you pay back the down payment out of the proceeds. This is an interest-free loan to help more people enjoy home ownership. If home values continue to increase next year as fast (or nearly as fast) as they did in 2015, you are better off buying now than waiting until you can save for a larger down payment. If credit score is your barrier, then pick up a copy of Repair Your Credit Like the Pros here and get to work. Earlier today, I heard from a lovely young woman in Ohio who followed the book’s directions and is now applying for a home loan. Yes, credit repair works! But you must do it properly, like the credit attorneys and certified credit professionals. What barrier is keeping you from the American Dream? Post a comment (see top of this article) or send me an email here. I promise to reply. Listed at $202,400. Brand new home. How much have home values increased in the past year? Has real estate been a good investment? If you are in Colorado, your home value has increased by 12.28% (on average). No one can predict what 2016 will bring. The best reason to buy a home is simply because you want to own the space where you live and sleep. 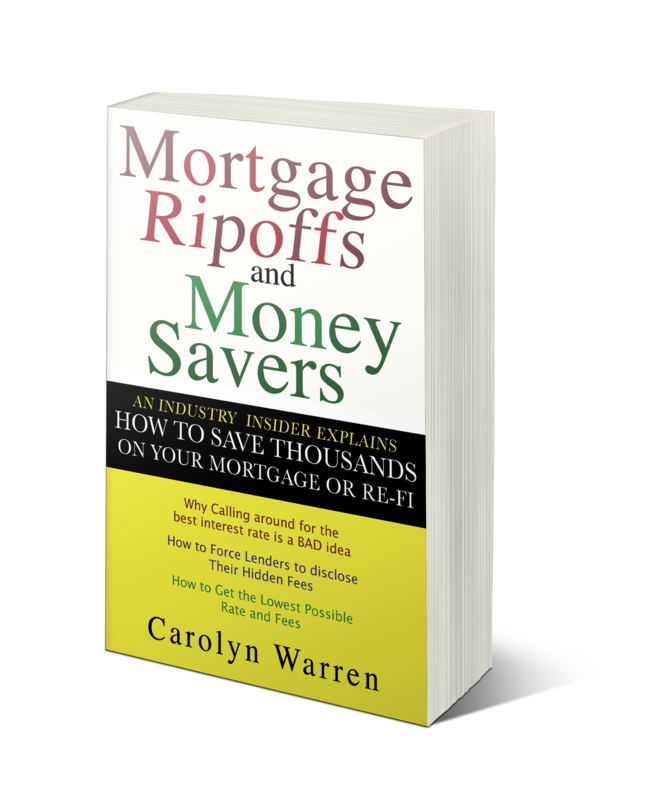 You want to stop paying your landlord’s mortgage and pay your own. You want the joy of home ownership! In the meantime, if owning real estate also increases your personal wealth, then that is great, too. If you are a real estate agent who would like to be on my Recommended list, send me an email here. If you’re buying a home in California or Washington state, I would love to provide you with excellent pricing, no junk fees, and stellar service. Just in time for the spring home buying season: 3% down loans. Recently, one of the Big Banks announced it is rolling out a new program: 3% down with no monthly mortgage insurance fee. At first glance, it sounds amazing– or does it? My first thought was, this sounds like lender paid MI, which has been around for a long time, rolled out with a new name. I’ll explain. When you put less than 20 percent down (conventional loan), it is riskier for the lender. Typically, the lender uses a mortgage insurance company (such as MGIC, Radian, Genworth) to protect them in case you default on the loan. You, the borrower, pay for this, and you have choices. Pay a monthly fee (fee amount depends on your credit score and how much down). Pay it as an upfront fee in the closing costs. Ask the seller to pay it as an upfront fee, one of the seller-paid closing costs. Have the lender pay MI. But hold on! Will your lender, out of their kind and generous heart, pay your MI fee for you? Sure, if you take a higher interest rate to cover it. Which essentially amounts to the same thing as option #1 above. But it sounds good, right? Lender-paid MI. Having no MI sounds good, too. But if the loan program carries a higher interest rate, what’s the difference? Good marketing, plan, Bank of America. Put a new label on an existing program and then make a media splash. Are 3% Down Loans Risky? Some folks are asking if this is subprime lending all over again. As a loan officer who worked in both retail and wholesale lending (inside closed doors of an institution that provided money to mortgage lenders), and who wrote Mortgage Rip-Offs and Money Savers to warn the public about the scams and lies, I will say this is not subprime lending all over again, but it is moving the pendulum from the super-strict end of the spectrum to more leniency. In reality, the 3% down conventional loan has been available again in 2014. Many lenders require a credit score of 720. This “new” 3% down with no MI program that is rolling out by Bank of America (and backed by Freddie Mac) requires a credit score of 660. But all full-service lenders (such as Envoy Mortgage where I work) already have a 3% down loan with a credit score requirement of 620; it is called HomeReady, and it is backed by Fannie Mae. You get the five choices for covering MI that are listed above. This gives me an idea. Maybe I should announce that there is a new loan program available, only from me, myself, and I. It’s called The Spring Homebuyer’s Special. It is 3% down and you get five choices for MI. Woo-hoo everybody!!! Call for a press release and help get my name out there, right next to Mr. Big Bank. Many thanks to Jared, who suggested I blog on this topic. Buying a Home or Refinancing in California? 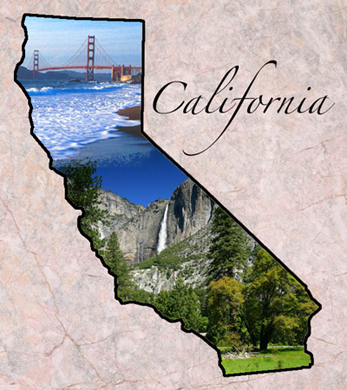 I love California, and I am excited to announce that I am licensed to do mortgage loans in the Golden State. Whether you are a first-time home buyer, a seasoned home buyer, or a home owner refinancing, I can help you get the best loan for your situation. * First-time home buyer FHA loan with 3.5% down or with gift money for the down payment. * Grant money for the down payment on an FHA loan with no pay back whatsoever. A true grant, from a private bank. No neighborhood restriction. * Conventional loans: 30-year fixed, 20-year fixed, 15-year fixed, 10-year fixed rates. * 5/1 ARM: fixed for the first five years, then adjusts annually. A good loan for people who plan to keep the home for five years or less. There is no cost to get pre-approved and/or to find out how much house you qualify for. Let me know what you want, and I will take it from there. What Does It Mean to Be “State Licensed”? * 20 course hours plus additional class hours for California state law. * Pass both a national test and a CA state test. * Get fingerprinted and have a background check done. * Have a credit report pulled and checked for personal financial responsibility. * Be approved by the CA state authority. You might say that state licensing ensures a higher level of scrutiny, which means more security and peace of mind for you. Please feel free to contact me about your mortgage questions or financing needs via the Ask a Question page here. Looking for a Recommendation for a Licensed Real Estate Agent? I have worked with fine real estate agents in California. If you would like my recommendation for an agent who will work hard and put YOUR best interests first, send me a message here.